Dope mixtape by japanese Dj Kou-G a.k.a. Grooveman Spot, featuring two 45min sides filled with jazzy, chill hip-hop joints. 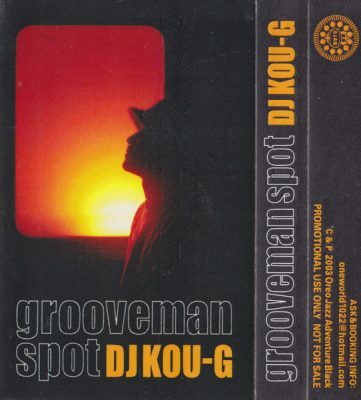 comment "DJ Kou-G – Grooveman Spot (Cassette) (2003) (FLAC + 320 kbps)"